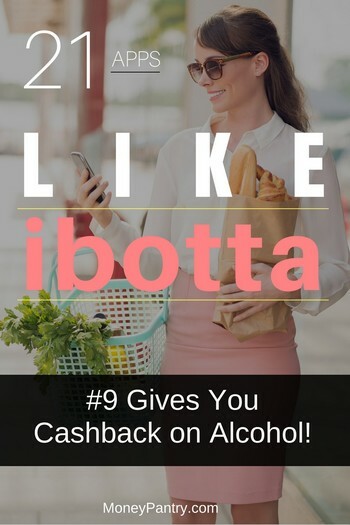 Ibotta is an excellent cashback app for groceries. In fact, there are tons of money making apps like Ibotta around. These are mainly grocery cashback shopping apps that will save you $100s every year. And considering that we spend about $151 a week on groceries (according to a survey done by Gallup) it would be crazy not to take advantage of these free apps to earn and save a little money on things we’re buying anyway. How would you like to turn your grocery receipts into cash? Shrink is a grocery cashback and rewards website that offers a number of money-earning opportunities. Through the site, you can get cash back coupons and unlock loyalty rewards. On Shrink, you get access to loyalty programs from a wide range of brands. Each brand’s loyalty program offers its own deals and rewards. To join one of these loyalty programs, all you need to do is tap on the brands you’re interested in. Essentially, the site gives you the ability to earn money, simply for buying basic products. Not only will you get cashback for making eligible purchases, but you’ll also earn points. All you need to do to earn points on the site and earn cashback is scan the barcode of the item that you’ve purchased and upload your receipt. You can also earn points for completing activities, like watching videos, answering questions or referring friends. The points you earn can be redeemed for extra perks, like free products or cashback. Rather than throwing away your old receipts, use them to make money with Receipt Hog. Receipt Hog is a fun website that allows you to earn cash and other rewards from your receipts. All you need to do is take a picture of your receipt – which can be from any store, restaurant or café. Then, simply upload it to Receipt Hog and get rewarded with coins. You can then redeem these coins for cash via PayPal or for Amazon gift cards. What’s interesting about Receipt Hog, however, is the fun element of the app – it offers you the chance to play on the Hog Slot machine, where you can win even more coins, as well as additional cash bonuses. You can earn even more coins by leveling up, and by completing short surveys. Any itemized receipt can be used to earn cash with MobiSave. So, whether you’re at a local café or the grocery store, you can use receipts from pretty much anywhere to earn yourself some extra spending money. Available on both Android and iOS devices, MobiSave automatically matches your purchases with your selected offers. One of the best aspects of MobiSave, which really sets it apart from other similar apps, is how quickly it pays out- you don’t have to wait until you reach a certain amount of money before you can cash out. There is no minimum requirement for cashing out, and you receive your payment within 24 hours. Checkout51 (which we reviewed recently) is another site/app that allows you to scan your grocery receipts in exchange for cash back. To start saving, all you need to do is browse and choose the offers you want, take a photo of your receipt, and upload it to Checkout51. Then, the app will automatically add match your grocery receipt purchases to its offers. The only downside is that it does have a minimum payout threshold of $20. Another great app similar to Ibotta that offers cashback on groceries is SavingStar. This super simple to use app allows you to save money on your groceries and online shopping, without having to clip or print coupons. All you need to do is upload a photo of your receipt to SavingStar, and you’ll receive cashback on eligible purchases. Also, if you’ve got a loyalty card with a certain store, all you need to do is scan it, and the app will automatically redeem your offers. Best of all, you only need to reach $5 to cash out with SavingStar, and you’ll be paid via PayPal. Shopmium is another app like Ibotta and Checkout51. With this app, which is available on Android and iOS devices, you can get cashback on a wide range of products and its offers are not tied to any specific store. You just need to take a photo of a computerized sales receipt through the app. And, you’ll get your rebate directly to your PayPal or bank account. While it doesn’t provide as wide a range of offers as others do, Shopmium does sometimes have some gems, so it’s worth checking out. Groupon Snap is a product of the famous coupons and deals company, Groupon. It is an app that allows you to earn discount coupons when you shop at specific retailers. The app offers retailer-specific promotions, which can save you a great deal of cash. All you need to do is search the Groupon app and find online and instore coupons. Then, simply use the coupon for instant savings. ReceiptPal is a similar app to Receipt Hog. All you need to do to make money with it is upload a photo of an itemized receipt. While apps like Ibotta and Checkout51 require you to purchase specific items to earn cashback, ReceiptPal doesn’t. Instead, it pays for whole receipts. This means that you can shop at any grocery store, buy the stuff you normally do, and you get paid. Imagine getting paid to buy beer! That would be pretty great right? Well, with the BevRAGE app, you can! This easy to use app pays you when you buy beer, wine or spirits. And, what’s great about its offers is that you don’t have to purchase your booze at any particular place to redeem them. You can purchase alcohol at any store, restaurant or bar, and get cashback. For tips and tricks on how to get the most of this app, check out our recent BevRAGE app review. Select the offer you want: You can save it to your shopping cart or you can click on “Redeem Now”. Go to a bar, restaurant or store to purchase the alcohol featured in the offer. Keep your receipt! Itemized receipts aren’t eligible, so do keep that in mind. With your phone, take a photo of your receipt, and then upload it. Make sure that the photo of your receipt is easy to read and clear. Once your receipt is uploaded and approved, you get paid via PayPal or check. Isn’t it annoying when you buy an item at one store, and then see that exact same item at another store, but it’s cheaper? We all want to get the best deal on everything we buy, which is why that situation is so annoying. Well, the Walmart Savings Catcher app ensures that you never miss a savings opportunity. Walmart might be famous for its low prices, but it doesn’t always offer the best deal. Sometimes, certain items are cheaper elsewhere. So, Walmart introduced the Savings Catcher program. It’s essentially a price matching tool that refunds you the difference, if you pay more for an item at Walmart that was available at a cheaper price in another store. Open the Walmart app: Go to the “Shop” tab and tap “Savings Catcher”. Once you’ve done that select “Add a Walmart Receipt”. Scan your Receipt: Find the QR code on your receipt. If there isn’t one on there, you can scan the barcode instead. If you can’t get it to scan, then tap “Type Receipt Info” and you can manually enter the barcode. Get a price comparison: Once you’ve uploaded your receipt, the store will compare the prices you paid to those offered by its competitors. Get a refund: If Walmart sees that another store in the area offered an item that you bought at a lower price, then you’re refunded the difference. If you shop at Walmart a lot, then this is a really good app to use, especially if you combine it with couponing at Walmart. You make sure that you always get the best deal on the stuff you buy. For more tips, check out our Walmart money saving tips post. Jingit is an app that allows you to earn money in a few different ways. Upload your receipt: If you buy items from featured brands, you can earn money when you scan and upload your receipt. Scan barcodes: Next time you’re at the grocery store, look out for a featured brand’s products, and scan the barcode. You’ll get paid in return. Watch an ad: When you view an ad from a featured brand, you get paid. Once you’ve earned your cash, Jingit pays you. You can choose to be paid by direct deposit into your bank account. Or, you can transfer your cash to an eGift card for retailers, like Walmart and Target. With BerryCart you can get cashback on organic, gluten-free and non-GMO groceries. So, if you like to purchase those types of items, then BerryCart is the app for you. Using the app, you can find deals near you. What’s great about BerryCart is that you can find the products it offers deals for in more than 100,000 locations, like Whole Foods, Walmart, Target and Kroger. So, redeeming your offers is super easy. All you need to do to earn money is upload a photo of your receipt. The receipt can’t be more than a week old. What’s interesting about this app is that you can get cashback for both in-store and online purchases. If you do want to get a rebate online, then you need to take a photo of the screen or a printed invoice. It must include the item purchased, the order date, the amount and an order confirmation number too. Once you’ve uploaded a photo of your receipt, you need to complete a few actions, and then you get paid. You can choose to be paid by PayPal or by gift card. Yaarlo was an app that was very similar to iBotta. Using Yaarlo, you could scan your receipt from a retail store, grocery store, restaurant, salon or gas station, and the app would pay you. You could get paid by gift card or in cash. It used to offer pretty generous cashback percentages too. Unfortunately, Yaarlo seems to have closed. The website no longer appears to be active, and neither are any social media profiles for the app either. And, many people on Reddit have stated that they haven’t been able to cash out and that nobody from Yaarlo is responding to their inquiries. So, it seems like Yaarlo is no longer available. Don’t worry though. As you can see from this post, there are plenty of apps like it out there. So, you have plenty of alternative options! The apps above all give you cashback for uploading/scanning your receipts. But, there are also plenty of other apps that give you cashback, just not for receipts. These apps are still like iBotta in that they provide you with cashback for shopping. Most of these apps are shopping portals. When you shop through them, you earn cashback. These apps work with retailers and earn a commission for sending customers their way. Then, the apps share this commission with you in the form of cashback. eBates is another app that gives you cashback. And, it’s definitely one of the biggest and best out there. It’s a shopping portal that gives you cashback when you shop through it. Through eBates you can shop at more than 2,000 stores, including popular stores like Amazon, Walmart, Starbucks and Booking.com. And you get up to 40% cashback. That’s pretty impressive! What’s great about eBates is that you can use it for both online and in-store purchases. So, if you do a lot of your shopping online too, this is really useful. Access to coupons: eBates also offers more than 10,000 coupons. You can see all of the coupons it has to offer here. A sign up bonus: When you sign up to eBates, you can get either a $10 Walmart gift card or a $10 eBates bonus (at the time of writing). Get more cash if you refer a friend: If you refer a friend, you can earn $50. Mr. Rebates functions in a similar way to eBates. It’s a shopping portal that allows you to shop at more than 2,500 stores, and get cashback. It’s one of the oldest rebate apps out there and its average cashback rates are pretty high. It’s really common to see 8 to 10% cashback offered. This is much higher than the average 2 to 4% that’s offered by many other rebate apps. What’s great about Mr. Rebates is that the threshold you need to reach before you cash out is just $10. This is great, because it means that you don’t have to wait ages to get your cash. You can choose to get your cash via PayPal or check. Pennyful, like Mr. Rebates, is another cashback website that’s been around for a long time. When you shop at one of these stores on Pennyful, you earn cashback. How much cashback you earn varies. Also, it offers local deals too. So, you can get great savings for things in your area. What’s great about ShopAtHome is that you get cash just for signing up! When you sign up, you get a $10 bonus. That’s a really generous bonus. TopCashBack is another shopping portal platform that gives you cashback when you shop through it. What’s great about TopCashBack is that the average cashback percentages that it offers are pretty high. In addition to offering great cashback percentages, it also offers other deals, like this one for Hotels.com; “save up to 50% + an extra 10% with our exclusive code + cashback”. So, you can save quite a lot with this app. If you’re looking to get money back on your shopping, then you should definitely check out Coupon Cabin. It’s another shopping portal what rewards you with cashback when you shop through it. Impressively, CouponCabin features more than 3,000 partner sites. CouponCabin offers cashback in two different ways. $20 back on orders over $20 at Target.com. 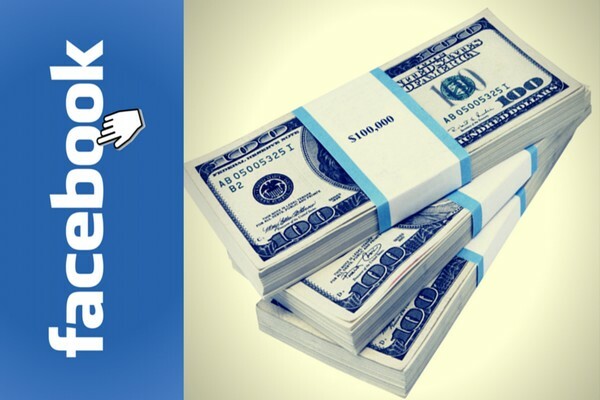 With this platform, you can earn some pretty good cash back on the stuff that you buy. And, there are also coupons available too. Overall, it’s a good app that offers a wide range of deals. MyPoints is another rewards website that’s been around for a long time – it started in 1996! When you shop through the site, you earn points. When you shop at these stores on MyPoints, you earn points. You can also earn points by doing other things, like watching videos, taking surveys and playing games. For the ultimate list of tips and hacks for getting free gift cards using MyPoints, read our detailed MyPoints review. What’s great about this app is how many stores it offers. BeFrugal features more than 5,000 stores! When you shop at of the stores featured on BeFrugal, you earn cashback. You get your cash via PayPal, Amazon gift card or check. Another great aspect of this app is that it also offers coupons, and it allows you to stack a coupon with cashback. This is such a great way to save cash when you shop. 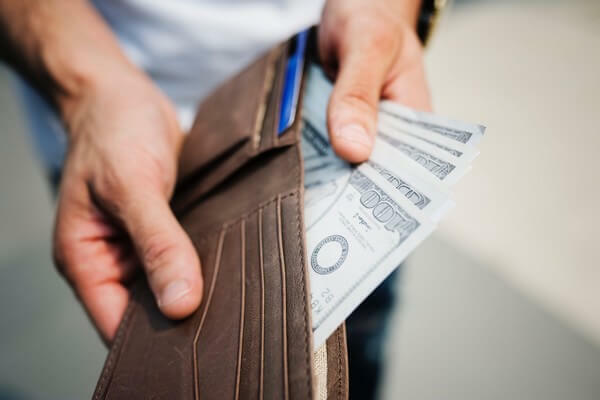 By using multiple apps that give you cash back in exchange for receipts, you can save yourself quite a lot of cash on your everyday purchases – and as we all know those are the purchases that can really add up. Also, when you consider that you can actually use these apps in conjunction with one another, you can end up getting yourself some pretty great deals. If you know of any other app like Ibotta or better than Ibotta, please let us know in the comment section below.